Make-up to unmask your inner beauty – No More Hiding! Booking is confirmed only after receipt of the agreed upon advance. KR Makeover reserves the right to book the date for the client who has paid the advance at the earliest in case of a conflict of dates. Non-receipt of advance will result in cancellation of booking. For venues, out of Delhi / NCR travel and accommodation expenses must be borne by the client (Air or train ticket/ taxi and hotel booking must be done by client). Date(s) will be blocked for the client (no other clients will be booked for these dates) ONLY on receipt of advance amount. Balance payment must be done in cash on every day as per the service provided during that day. Makeup charges include makeup, hair & draping. False eyelashes included only in Bridal makeup. Advance amount paid is non-refundable, non-transferable and non-adjustable. 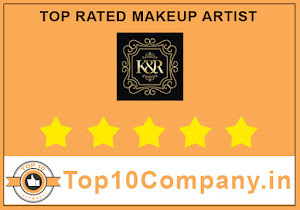 KR Makeover reserves the rights to use pictures of the client (whether a direct client or a client contracted out to us through our current or former associates) allowed to be taken before and after the makeup willingly by the client. The use of such pictures by KR makeover is strictly on our website, portfolio & social media pages. However, we also have utmost respect for our clients’ privacy and in case a client decides later on that they do not want us to use their pictures anymore we commit to remove all the material related to that client from our website & social media pages upon receipt of the request from the client.